Window Film Austin is proud to be a licensed Solar Gard installer. Austin has a warm, dry climate so energy efficiency is a priority here, which is why Solar Gard makes sense. Solar Gard films are known for their aesthetic pleasantry and energy saving benefits. They are the window film of choice among many architects, interior designers, and businesses with green-focused mentalities. Solar Gard films are a sustainable solution developed by globally renowned company Saint-Gobain as part of their efforts to limit resource consumption worldwide and direct homeowners and businesses everywhere towards a more energy efficient way of operating. Solar Gard films reject up to 79% solar energy absorption, reduce glare by 95%, and provide an average of 30% annual energy savings. Solar Gard Silver films offer the ultimate protection against the Texas sun. They’re constructed by using high tech equipment that sputters thin layers of precious metals onto the film. The reflective appearance of these films offer a high level of privacy and control heat while maintaining perfect clarity. They also block out 99.9% of harmful UV rays that cause skin disease and fading to your furniture and interior. ULR Low Reflectivity film allows you to experience all the benefits of window tint without altering the appearance of your building. It’s made without metal particles, giving it a low level of reflectance that’s perfect for storefronts, malls, and window displays. With ULR Low Reflectivity film, you can experience a 50% reduction in solar heat gain while maintaining the ability to see clearly through your windows. 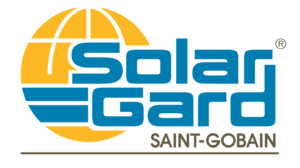 Experience the Solar Gard difference. Call Window Film Austin today to have Solar Gard installed for your Austin home or commercial building. We look forward to working with you on your upcoming project!